Rodionov & Sons made the comeback of Russain grain distillates in 2010, using old recipes and techniques found in historical records and ancient books. Original Russian grain distillates are significant foundation part of the entire historical world of Russian cuisine and gastronomic culture. 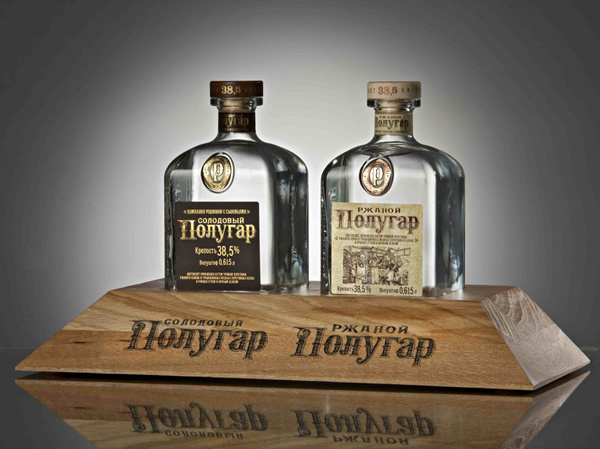 Long and laborious investigations of Boris Rodionov, his deep theoretical knowledge and unique practical experience give today the opportunity to produce the limited series of delicious distillate on a rye base, forming totally new category of alcoholic beverages, which is completely absent in the Russian market. Rodionov & Sons continues working on the revival of the Russian distilling and re-creating the legendary Russian wheat wine Polugar and other traditional distillates, the production of which was discontinued in the Russian Empire after the introduction of the monopoly in 1895.